以使用者的角度來看，如果在手上軟體出新版支援 webOS 中，，可以在 Pre 上面跑以前的 Palm OS 軟體，我想冒些穩定性的風險是可以接受的。不過有個問題可能比較嚴重：中文支援怎麼辦?! In terms of hours, an OMAP 3 platform-based system can operate all day without recharging as it performs Web browsing, multimedia and other intensive tasks, whereas a system based on the best x86 solution lasts only a few hours. In standby mode, while a system based on the best x86 solution needs to be recharged several times a day, an OMAP 3 processor can last a week or more before needing recharging. But better than that, it does stuff for you. So when you wake up in the morning, it has taken your calendar — if you ask it to — and downloaded the maps for you whole day, it’s downloaded the wikipedias for the people you’re going to visit and the companies you’re going to see… Why is it on PCs you have to go and do all that? And when you’re late — get this — when you’re late it — remember, this things has GPS, it has a clock, and it has your calendar. So it not only knows where you are, it knows where you’re supposed to be and when; and so when it realizes you’re going to be late, it says “Hey, not only are you going to be late, but I can take care of it for you. I’ll send an email to your assistant or to the people in the meeting, which would you prefer? And oh, by the way, here’s the map.” This is the beginning of a new wave. 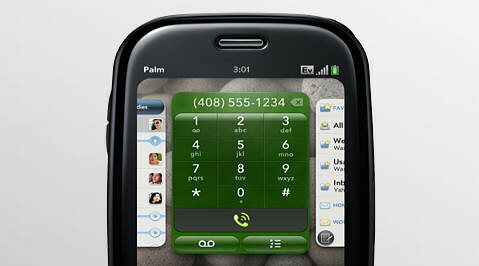 ‘Design’ was the highest goal on the Palm Pre project. The phone has to look and function great in the hand and up against the face on a call. The decision to include or not include expandable storage is an easy one when design is the highest priority. The physical size of the device would have been compromised if we added another physical component to Pre. Just a millimeter can seriously impact the curvature of the design in a way that minimizes the design intent. We wanted to maintain a slick curved slider design without building out too much thickness. When you look at the two parts of the product and see how thin they really are, you may be amazed that we were able to fit everything in. And yes, all the stuff does fit. One Response to "Palm Pre: 續航力、SD槽、相機"